On a petition filed by the Democratic Youth Federation of India (DYFI), the Supreme Court has directed the Kerala government to release Rs.5 lakh each as compensation to all endosulfan victims, within three months. 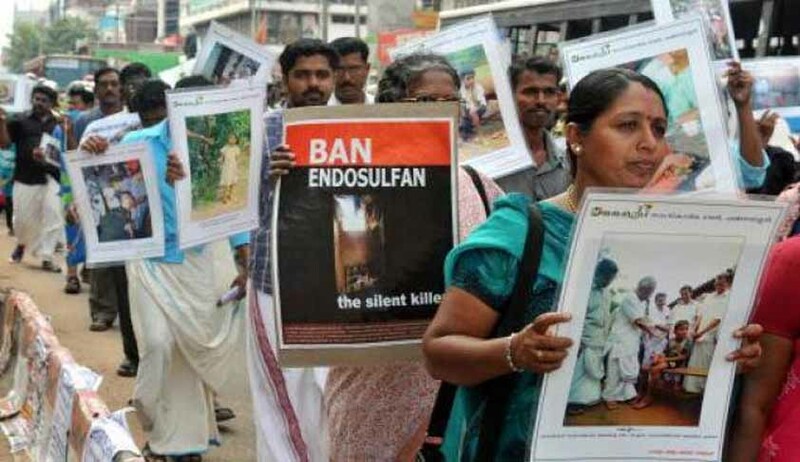 The DYFI, the youth wing of Communist Party of India (Marxist), in 2011, had filed a writ petition in the Supreme Court, highlighting the plight of victims of endosulfan in northern part of Kerala. The bench headed by Chief Justice JS Khehar also observed that it shall be open to the state government to recover the compensation amount either from the concerned industry or from the Government of India. The court also directed the state government to take into consideration the feasibility of providing medical facilities/treatment for life-long health issues, arising out of the effects of endosulfan, keeping in mind that there seems to be a large number of such affected persons.